Is the Old Testament Even True? Many times i have been asked by people, can we really believe what the Old Testament Says? Growing up in the Catholic System many of my teachers said the 1st 5 books of the Bible – the “Torah” was Just a myth. So i think its time to start challenging this really foreign Idea. One argument put up by many is how do we know that the Old Testament we possess in our Hands today is the same as it was many thousands of years ago? I think that this is a very good question personally and it warrants a good answer. The Process was as Follows. 1. 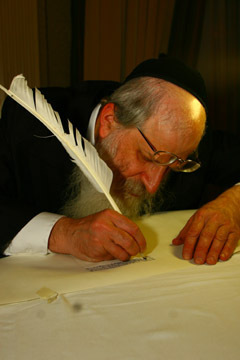 A synagogue roll must be written on the skins of clean animals prepared by a Jew. 2. These must be fastened together with strings taken from clean animals. 3. Every skin (page) must contain a certain number of columns, equal throughout the entire codex. 4. The length of each column must not extend less than 48 or more than 60 lines; and the breadth must consist of thirty letters. 5. The whole copy must be first lined; and if three words were written without a line, it is worthless. 6. The ink should be black and prepared according to a definite recipe. 8. No word or letter, not even a yod, must be written from memory, the scribe not having looked at the codex before him. 9. 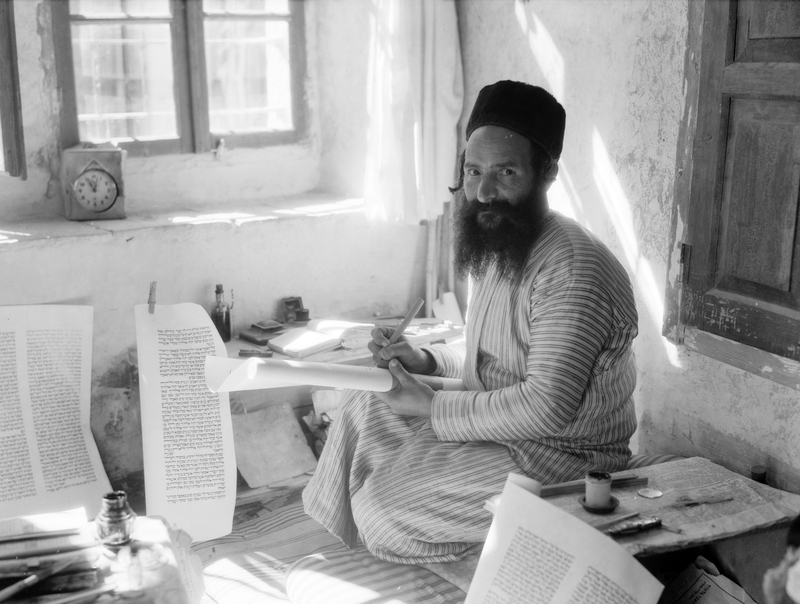 The copyist must wash his whole body and sit in full Jewish dress. 10. He must not begin to write the name of God (YHWH) with a pen newly dipped in ink and should a king address him while writing that name he must take no notice of him. As you can see the scribes in transcribing copies of the Old Testament had an extremely tight guideline to follow why scribing. I think this initself is a rebuttal to those who accuse the Old Testament of being just another Story! Previous Post The Apostolic Passion! Next Post Canons of Holy Bread Baking! I used to wonder if the Old Testament was true myself until I rode my Harley across Australia. While on the Nullarbor plain we road a few kilometers away from the main highway to set up our camp and always found traces of seashells scattered about hundreds of miles from the sea..
As seashells are made up of Calcium and lime and have a half life of less than 10,000 years it was a pretty obvious conclusion that at some time in that period that entire area must have been under the ocean. Having also toured around NSW, Queensland, South Australia and Victoria I’ve also found it not uncommon to find the same thing in very remote areas if you dig a little. However, science states that Australia hasn’t been under water for hundreds of thousands of years yet there’s an abundance of physical proof out there that it was. My opinion, Noah’s flood. As for the Old Testament in general, any reasonable and objective study of all areas of geological and other scientific evidences prove it when all are compared against one another. The problem seems to be that some take only one area of scientific evidence and form their theories, much like many take singular verses of the Bible out of context and then come to the wrong understanding.